Jin Shin Jyutsu® is an ancient art that harmonizes the energy of the body. It brings balance to the body’s energies, which promotes optimal health and well being, and facilitates a person’s profound healing capacity. A valuable complement to conventional healing methods, Jin Shin Jyutsu (JSJ) induces relaxation and reduces the effects of stress. Jin Shin Jyutsu offers relief from any stress as the client allows the gentle touch of fingers to restore balance to body, mind, and spirit. Receiving a session of this art assists with both acute and chronic conditions, including nervous, muscular, lymphatic, fatigue, inflammatory, skeletal and more. JSJ success stories abound for all kinds of health “projects”. Interested in more of these types of stories? Read about Jin Shin Jyutsu successes here and here. 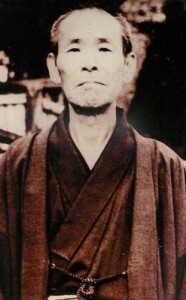 For more on this topic, plug in Jin Shin Jyutsu in the search box on any blog post. Born of innate wisdom and passed down from generation to generation by word of mouth, the Art had fallen into relative obscurity when it was dramatically revived in the early 1900’s by Master Jiro Murai in Japan. 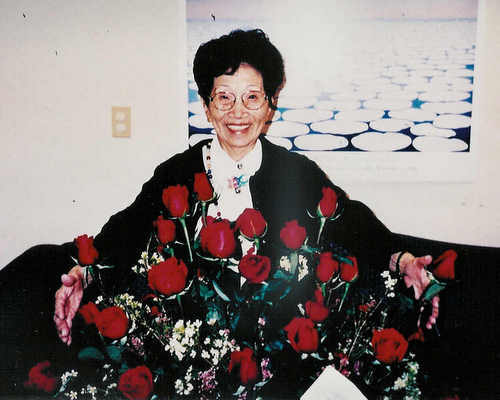 Mary Burmeister began teaching the Jin Shin Jyutsu to others in the early 1960’s, and today there are thousands of students throughout the United States and around the world. After clearing himself of life-threatening illness, Master Murai devoted the rest of his life to the research and development of Jin Shin Jyutsu (JSJ), gathering insight from a range of experiences and resources, including the Kojiki (Record of Ancient Things). The resulting knowledge of Jin Shin Jyutsu was then given to Mary Burmeister, who brought it to the United States in the 1950’s. Mary Burmeister began teaching the Art to others in the early 1960’s, and today there are thousands of students throughout the United States and around the world. Jin Shin Jyutsu employs twenty-six “safety energy locks” along energy pathways that feed life into our bodies. When one or more of the paths becomes blocked, the resulting stagnation can disrupt the local area and eventually disturb the complete path of energy flow. In an individual treatment session, the practitioner applies the art with gentle touch of fingertips for about an hour to certain safety energy locks in certain sequence to a client who lays dressed on the table. The restoration of energy flow allows the body to heal and maintain itself, and strengthen its ability to ward off unwanted conditions. Each session is individualized based on pulse listening, body reading, and client report. After clearing himself of life-threatening illness, Master Murai devoted the rest of his life to the research and development of Jin Shin Jyutsu® (JSJ). Jin Shin Jyutsu can be used to improve how you feel from wherever you are. For anyone addressing existing stress or health disharmonies, or for those simply wishing to participate actively in maintaining health, harmony and well being, the Art of Jin Shin Jyutsu is a simple and powerful tool, available to all! For information on individual sessions or Self Help classes, please contact Janet Pearlman at jpearl@streamofyes.com. For more information on the Art of Jin Shin Jyutsu, see the national JSJ website.